uCella is a smart package and delivery mailbox, so you never miss another package again. My dad is obsessed with Amazon Prime. I’m pretty sure the UPS guy stops at his house at least once a day, if not twice. I’m pretty sure he buys everything except for groceries on that website. The only thing is, his office is way upstairs and in the back of the house, which means that it’s very, very easy for him to miss deliveries. Also, his neighborhood is the kind of neighborhood where a package left on the porch could easily go missing. Enter uCella, a new smart mailbox. But it’s not just a mailbox. uCella lets you track your orders in real time on their app. Mail carriers access the secure mailbox by scanning the bar code on the package. Once it’s been delivered, you’ll get a notification on your phone saying that it’s waiting for you. In order to actually access the package, all you have to do is scan your master QR code. You know what that means? No more waiting around for packages; no more missed packages; no more treks out to the UPS center that’s always, always so far out of town. uCella also lets you send returns by requesting a pickup from USPS or UPS with a pre-labeled return package. The box itself is made from military-grade high-strength composite materials, which makes it resistant to dust, water, UV light, flame, and tampering. uCella is currently crowdfunding on IndieGoGo, trying to raise $25k to launch their product. 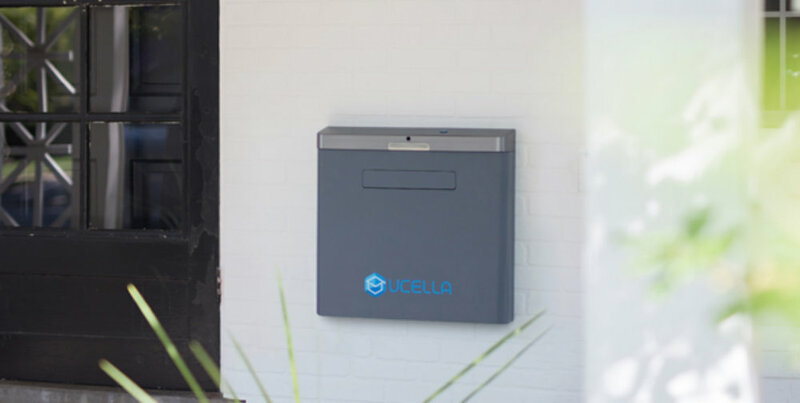 If you’re like my dad and get approximately a million packages per week, head over and get in line to receive one of the first uCella smart mailboxes today.